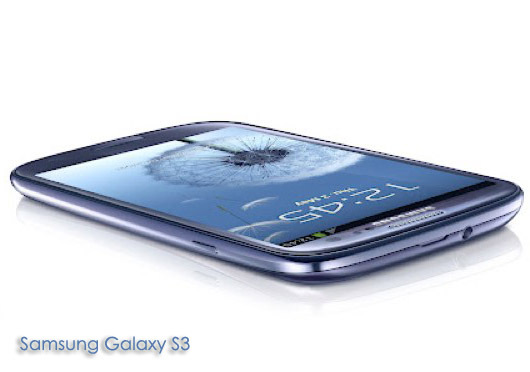 The new Galaxy S3 that many have been waiting for is finally here. All questions and rumours of specifications of the new Samsung Galaxy S3 has now been answered with its official announcement on 3rd May 2012. In case you were wondering if all the speculated specs materialised, head on to All New Samsung Galaxy S3, published back in March 2012. First impression is that, the S3 resembles the iPhone 3GS, minus the excessive curved corners when front-viewed. Not that it looks bad; it is something I personally wanted done on the iPhone 4S. The comparison is purely on specifications and not based on practical test on each gadget as at the time of compiling this article, the Galaxy S3 is not yet available to the public. There are two main aspect that consumers tend to pit a particular smart phone against another namely ease of use and 'on-paper' performance. On-paper performance refers to technical data sheet providing details of manufacturer's measured parameters. Many instances of tests done in the past tell us that higher specced smart phone does not necessarily perform better when bench-marked hands on with another that is slightly falls below it. The likely winner would be one that could combine the better specifications with ease of use. 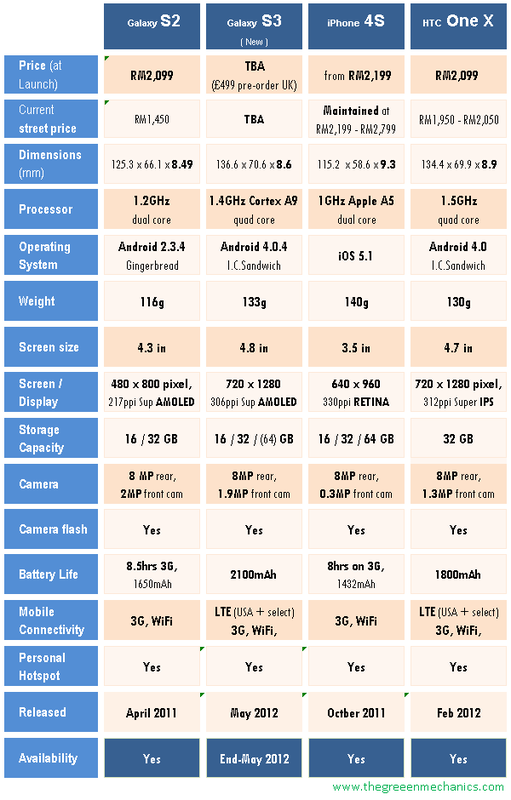 Galaxy S2 and iPhone 4S are included in this table to give you an idea of what kind of improvements the manufacturers of S3 and One X have included in the newer gadgets. If you ask me, I would say the S3 look nicely built and is is only fair that Android should match that with a more stable OS and improved intuitiveness. Will just have to wait for it to be launched in Malaysia to get to feel the metal. i'm not good in gadget ..he he..but I wont go to Apple..ha..
@beaty & Dora - it's good to have choices, isn't it. Coz people's preferences are different. Taiwan. Looks like their standard of provider never boost huh?